So, it’s time to summarize a bit on how our team stood during the latest ICFP Contest. ICFP Contest begins in less than two hours. Yay! The First Day of the Training School is over. It was a long day and Alexander Konovalov and I kept sitting till half eight at the conference venue, because it was raining. Just got home from the dinner. Also ICFP Contest ended today. I arrived today in Linz, Austria. I’m staying here for two weeks. I attend the 4th RISC Summer School in Symbolic Computation. Should be tons of fun. Meanwhile, I sit in my hotel room. I got my lunch, but have nothing for a dinner. And while fighting with headache I try for almost 24 hours now to find an ellipse equation from two tangents, tangential points and one focus. Analytically, of course. I have a repeated feal, I miss something very easy, but yet important. I really miss Marburgs‘ blackboards in such moments. And I really fight the thought that in few hours I’ll be hungry. 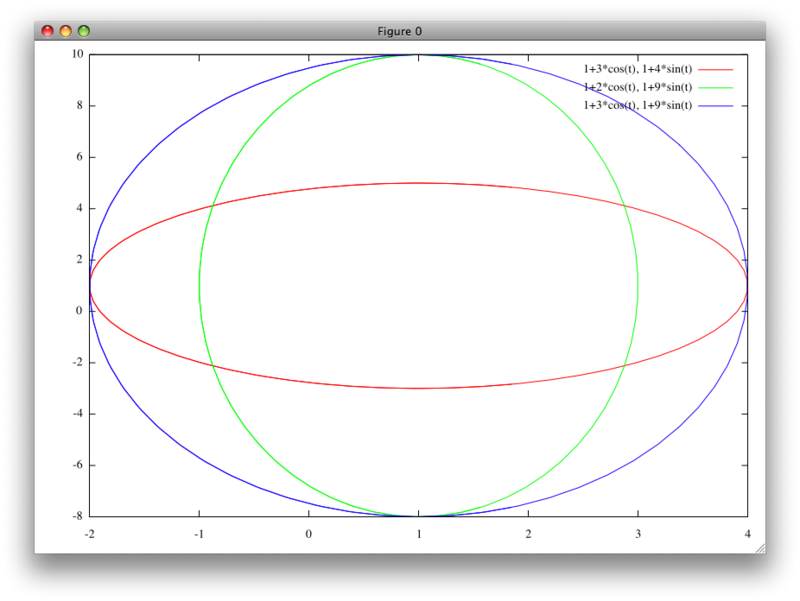 to screw it all and to interpolate ellipse with splines. The contest has begun. We have to write a virtual machine (OH NOES!) and to run some tasks on it and produce our own binaries for it. The topic is space navigation. Good that we have someone knowledgable in physics on the team. Further thoughts: Haskell or not Haskell? The ICFP Programming Contest starts in a few hours. I am definitly taking part in it. You are currently browsing the archives for the ICFP Contest category.